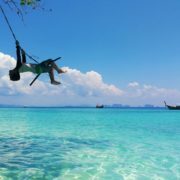 That is a shame, because both provinces offer unique, truly Thai experiences less than an hour from Bangkok. 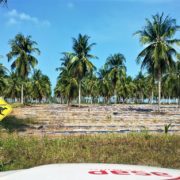 Here rivers, sea and fertile land combine to produce everything from fruits to prawns to sea salt. 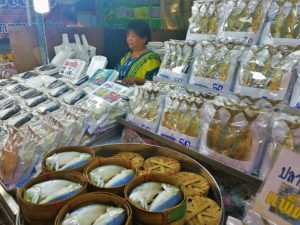 It’s no surprise that some of Thailand’s best seafood and produce markets are in this region. We were driving to our favorite, the Amphawa Floating Market. First things first: these markets aren’t really floating. 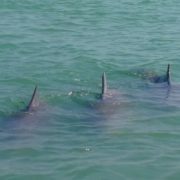 But they are always next to the water, usually a slow-moving klong (canal). In Thai, ‘dalat num’ just means water market. Second, none of the floating markets tourists are likely to visit are authentic in the strictest sense. They probably wouldn’t exist today if the tourists didn’t come. 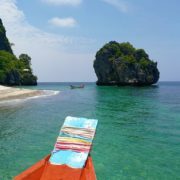 That travelporn image of dozens of Thai grannies paddling boats piled with colorful fruit is either 30 years old or staged. But don’t let that dissuade you from visiting. 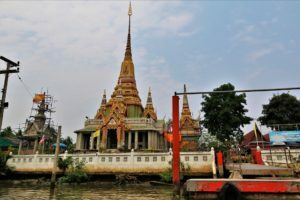 Floating markets like Amphawa (Samut Songkhram), Damnoen Saduak (Ratchaburi) or Taling Chan in Bangkok are wonderful to visit if you want to experience a bewildering variety of Thai food. 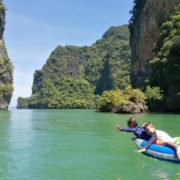 Travel grumps who decry floating markets as ‘tourist traps’ are missing the point: they are great fun, for Thais as well as foreigners. 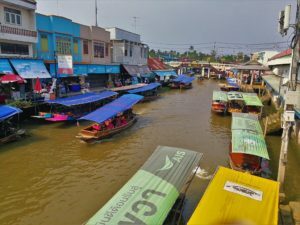 Amphawa’s market stretches along both sides of a canal that flows into the Mae Klong River. 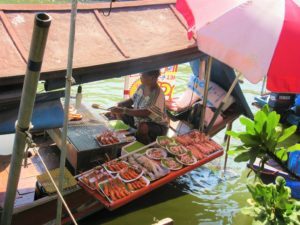 There are a few small boats making pad thai or grilling up river prawns, but most of the food stalls, restaurants and shops are along the narrow, waterside walkways. The colors and smells are incredible. 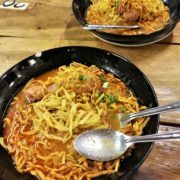 Freshly-pounded som tum, charred squid, little jars of num prik (chili paste), pressed sugar cane juice, great hunks of pork belly, separately packaged ingredients for mieng kham, wok-fried crabs with egg, giant pomelos, homemade coconut milk and a thousand varieties of khanom (Thai sweets). 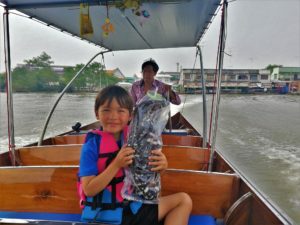 We had visited Amphawa at least three times previously. It’s a standard recommendation we make to visiting family and friends. 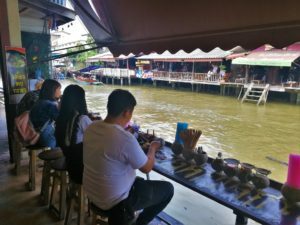 Unlike Damnoen Saduak, Amphawa’s visitors are majority Thai. Yes, it’s crowded and ‘touristy’ but the food and drink is authentically Thai. Do you really think that foreigners are buying all those steamer baskets of bpla too (mackerel)? Skip at least one meal before coming here and then try everything. Amphawa has also got some of the most creative and varied souvenir T-shirts we’ve seen in Thailand. And maybe take home a bpla too pillow? 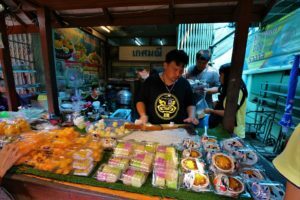 Beyond the market itself, the area has a lot to occupy visitors: boat rides down the river and back up the canals, the Thai Dessert Museum, some pretty temples and several smaller, quieter canal-side villages. There is also a wide variety of riverside accommodation. 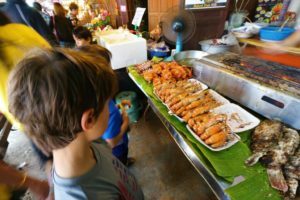 And in the evening, some of the market restaurants morph into bars with live music and there are firefly-spotting cruises along the Mae Klong. 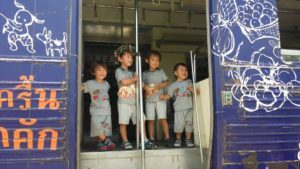 One of the most fascinating journeys we did in Thailand was to take the rattling old train from Wong Wian Yai Station in Thonburi through Bangkok’s western suburbs to the bustling Mahachai fish market. After a short ferry ride across the Tha Chin River, we caught a second train that trundled past sea salt ponds before terminating at Mae Klong in Samut Songkhram. We didn’t know it at the time, but this was the famous market where vendors set up shop on the tracks and quickly fold up shop when the train comes. I was perplexed to see the throng of tourists lining the tracks as we came into the station. Was someone famous on board? It was already late afternoon. In total, the journey had taken eight hours, twice as long as I had advertised to my family. The boys were exhausted and parched. Nori was irritated to have been duped by me again. That’s when I discovered that we were near the coast, an hour’s drive from Bangkok. There were few taxis and none of them wanted to take us that far. How were we going to get home? 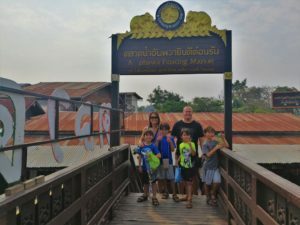 Only on this latest trip did I realize that the Amphawa Floating Market is just upriver from the Mae Klong Railway Market! 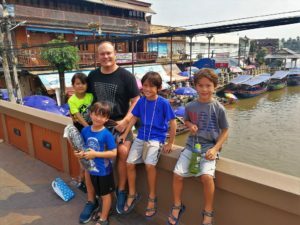 What a fun weekend that would make: riding the rails from Bangkok on Saturday morning, staying in Amphawa and visiting the floating market Sunday morning before returning to Bangkok that afternoon. With hands full of bags containing rice crackers, mango sticky rice, grilled pork skewers and a monitor lizard pillow, we returned to the car. 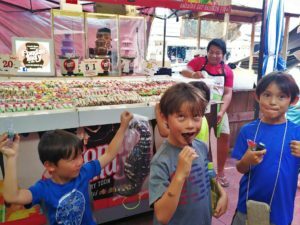 The boys were hyper and loud after eating marshmallows dipped in chocolate (can’t believe Nori bought those). It was painful to be in the car with them. After driving across the main bridge, I pulled over and started setting up the drone. It was probably illegal to fly it along the canal, but I was going to try anyway. In our rush to get the boys and our bags into the rental car, we had forgotten a suitcase at the airport! It contained my GoPro, most of our chargers and connectors, some guidebooks and novels. Nori was distraught. 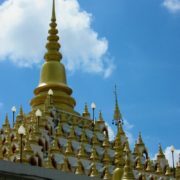 She wanted to drive back to Bangkok, but I vetoed that; I knew we’d never find the suitcase. I was more upset about committing such a novice travel error. We were out of practice. Always, always, always do a bag count. And in our case, always do a kid count too. 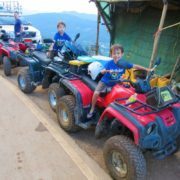 After we recovered from the shock and the inevitable ‘blame game’ that followed, we started feeling grateful for what we hadn’t lost: Logan, our passports, the laptop, my travel journals etc. Everything in that suitcase was replaceable. It would be a hassle, to be sure, but it was also an important lesson early in the trip. We still had too many bags; it was impossible to keep track of them. Needless to say, I didn’t feel like flying the drone anymore. So we loaded up the Fortuner and set a course for the Garden of the Bees.